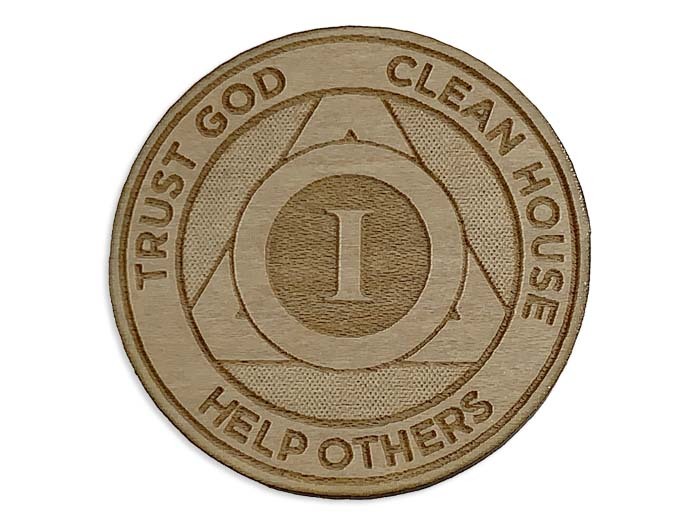 Another unique AA Birthday Chip design available exclusively from WoodenUrecover! The front side has a unique design featuring our Circle and Triangle symbol along with "Trust God, Clean House, Help Others" expertly laser engraved into your choice of a Maple or Alder wood token! 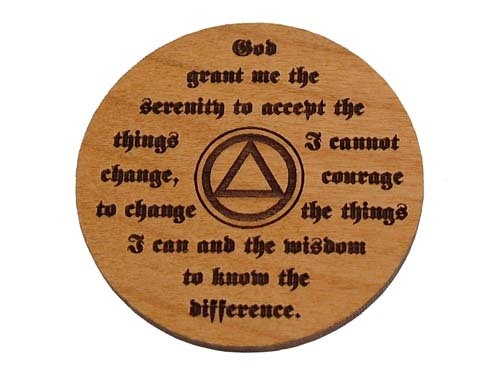 The back side is laser engraved with the Serenity Prayer. (Contact us for different reverse side options). Read more about the History of A.A. Tokens and Chips.